The trained and qualified handyman in Fulham have many years of experience in the home improvement industry. Moreover, thanks to our wide range of power tools, we can deal with even the hardest home repair challenges. The fastest and easiest way to cope with your property maintenance needs is to get in touch with us as soon as possible. Why Choose Handyman Fulham Services? Whenever you need professional assistance, simply give us a call! Every handyman Fulham carries public liability insurance. Enjoy professional handyman services from qualified tradesmen. A Variety of Booking Slots For your convenience, we offer weekend & evening booking slots. A Wide Range of Services From small fix up tasks to big renovation projects, a handyman Fulham covers it all! Clear Pricing System No hidden charges, everything is transparent. 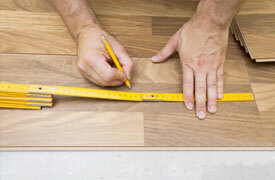 We can fit & lay various types of flooring for you. From mounting your TV to hanging pictures and mirrors, we can do it all, just give us a call. 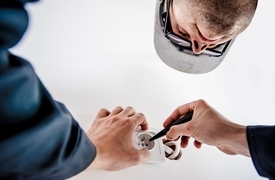 The local handymen have the needed experience to identify any faults of the electrics at your home and fix them. We hang pictures, mirrors & shelves.